It may seem a bit unromantic to think of marriage as a contract, but from a legal standpoint, this is the case. As is true with any contract, there are many factors to consider before signing a prenuptial agreement. 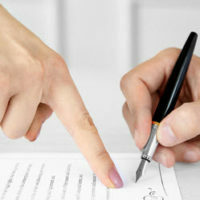 Each case is unique, and each couple needs to make their own decisions regarding whether or not they want to sign a prenuptial agreement prior to getting married. The following list of pros and cons are meant to help guide you through this process, but the best solution is to contact an experienced family law attorney in Media, Pennsylvania to get a personalized analysis of your particular situation. What Does a Prenuptial Agreement Cover, and What Does It Not Cover? Who is responsible for financially providing for children from a previous marriage, if any. While this is quite an extensive list, there are also a number of situations that are not covered by prenuptial agreements. For the most part, prenuptial agreements do not cover anything illegal, unconscionable, or that encourages divorce. It also does not cover child support or child custody plans, as those determinations will be made only when a divorce actually takes place. Discussing a prenuptial agreement generally facilitates honesty and open communication. Generally speaking, signing a prenuptial agreement can save you a lot of time and money down the line. However, prenuptial agreements are not without its critics. The biggest criticism of prenuptial agreements is that it implies that the marriage is only temporary. It’s possible that one party may feel strongly toward signing a prenuptial agreement while the other party is strongly against it and believes it to be unromantic. Ultimately, if you and your future spouse are unable to come to an agreement on whether to sign a prenuptial agreement or on the terms of your prenuptial agreement, you should stay away from signing a prenuptial agreement before you get married. However, if you and your future spouse can both agree on the terms of the agreement before you get married, it can be a great way to potentially save yourselves a lot of time and money in the future. If you wish to speak with an attorney about the legal and practical ramifications of signing a prenuptial agreement before getting married, call us at 610-565-6100 or visit us online to schedule your free consultation today.